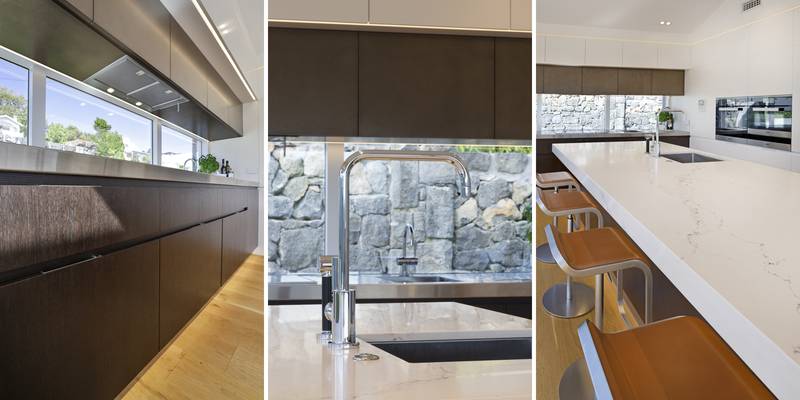 Kitchens By Design | Kitchen Design for Discerning Clients : Raumati Road. 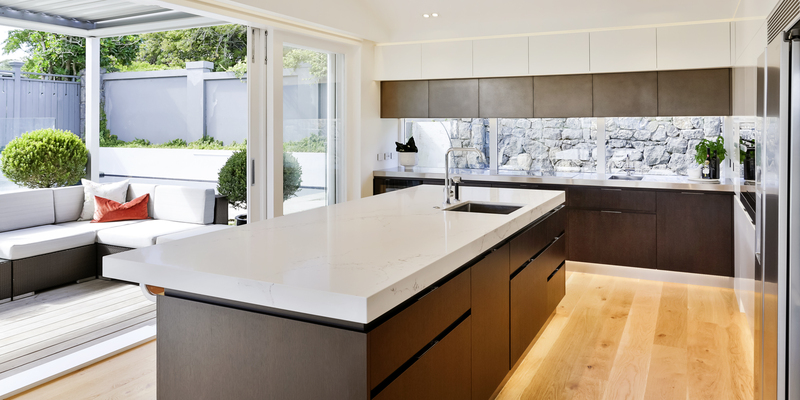 Designed to cater for a busy family, this beautifully proportioned modern kitchen took a pivotal role in the major renovation of a large bungalow in Remuera. 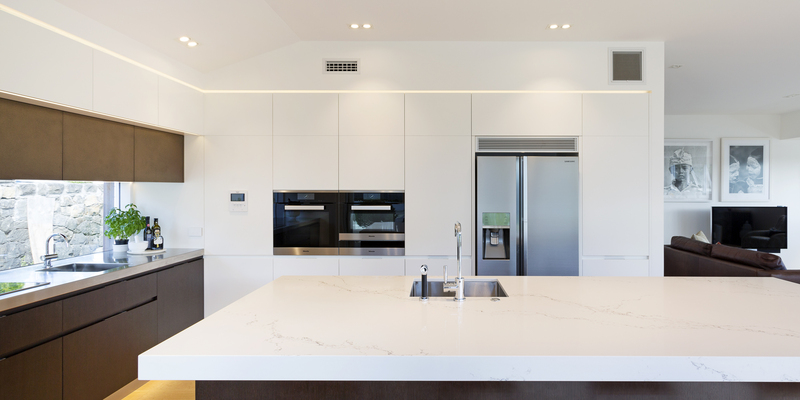 The owners’ brief was for a large kitchen, with an enhanced connection to the outdoor living space, an Island with seating for at least four, and a clean, but not too clinical aesthetic. 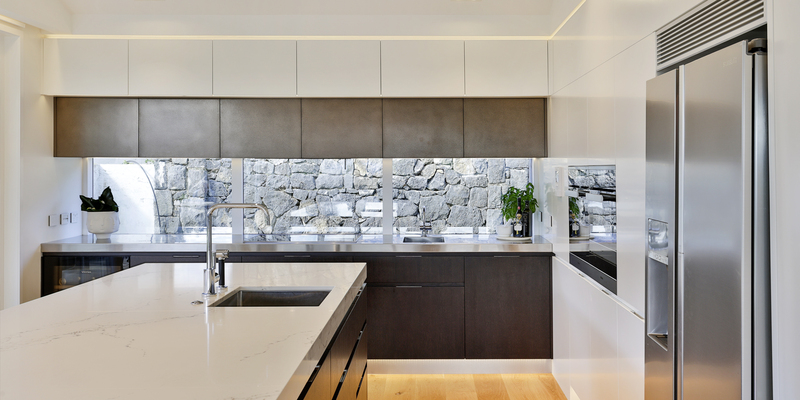 A wall-to-wall picture window was inserted at the far end of the room that not only lets in more light, but it also gives a glimpse out to a classic scoria boundary wall and a small garden. The colour and material palettes were kept simple. 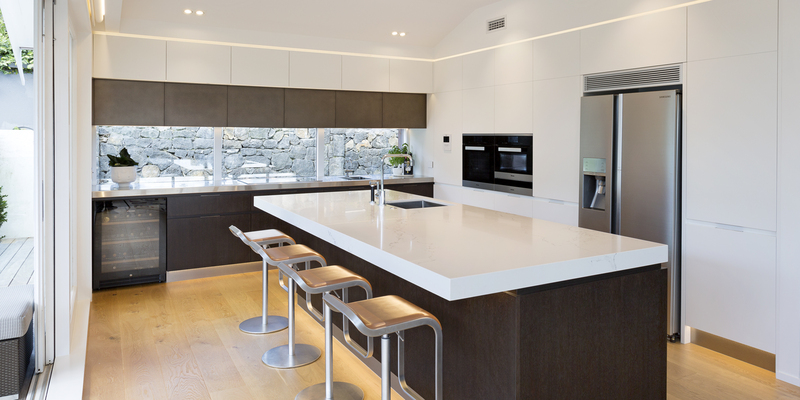 Clean white cabinetry sits next to rich, chocolate-stained American oak, with a flash of metallic bronze paintwork on the overhead cabinetry above the wide picture window. 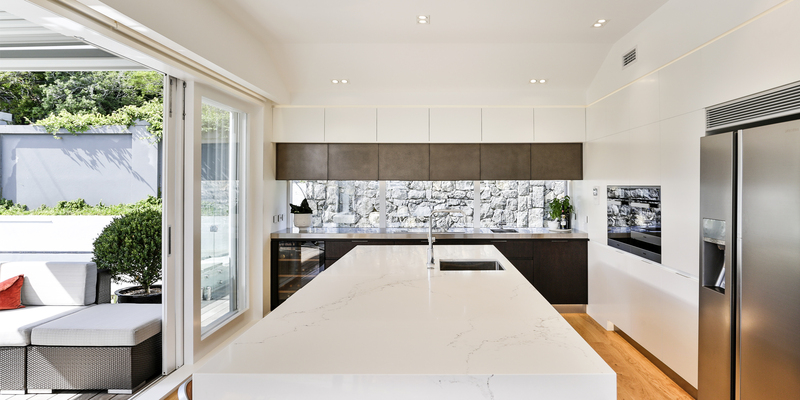 The two different benchtop materials reflect their functions – hardwearing stainless steel along the worktop, and a softer Caesarstone engineered stone, with subtle marble veining on the island, where the family gather for breakfast. 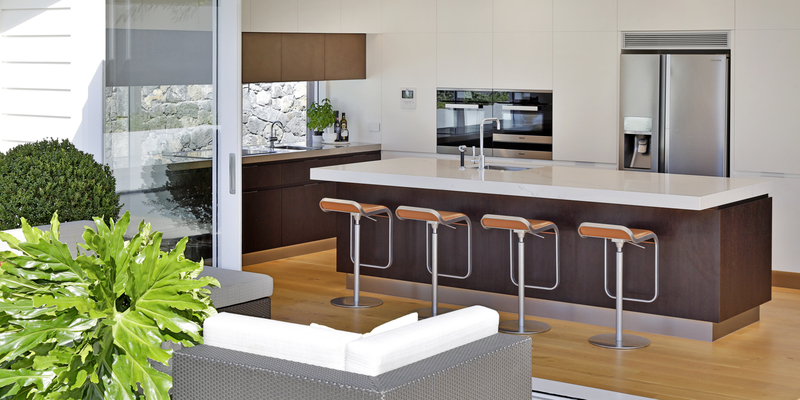 Clean white cabinetry sits next to rich, chocolate-stained American oak, with a flash of metallic bronze paintwork on the overhead cabinetry.